For three generations Ferrante Manufacturing has been crafting the fine furniture and installations that make local establishments the heart and soul of their communities. We provide high quality custom architectural millwork and woodwork for projects throughout North America and hand deliver to the jobsite using our own fleet of trucks. See why we're America's first choice for custom installations. From our humble beginnings in a small shop on Detroit's East Side to our 70,000 square foot factory with state-of-the-art machinery, our philosophy has never changed. We believe in being big enough to fabricate equipment for any project, and at the same time being small enough to provide the hands-on personal service the project requires. We provide our clients uncompromising service on every project including estimating, value engineering, design, fabrication, finishing, delivery, and installation. Whatever your millwork needs, Ferrante Manufacturing can provide it. We tailor our services and offerings to accommodate your project and time frame. Ferrante Manufacturing millwork can be found in many popular establishments such as Quicken Loans, Somerset Mall, General Motors, Greektown Casino, CS Mott Hospital, McLaren Regional Medical Center, Detroit Athletic Club, Grosse Pointe Yacht Club, Detroit Pistons, Joe Muer Restaurant, Detroit Tigers, Ocean Prime, Rojo Mexican Bistro, Campus Martius, and more. Ferrante Manufacturing is a custom architectural millwork, woodwork, and commercial interior manufacturer providing high-quality installations for restaurants and bars, casinos, hotels, hospitals, schools, retail spaces, offices, banks, country clubs, and homes in all major markets across the Midwest and nationwide. We work with architects, designers, and contractors to provide custom millwork, products and specialized interior packages that capture the vision and intent as described by the artist. 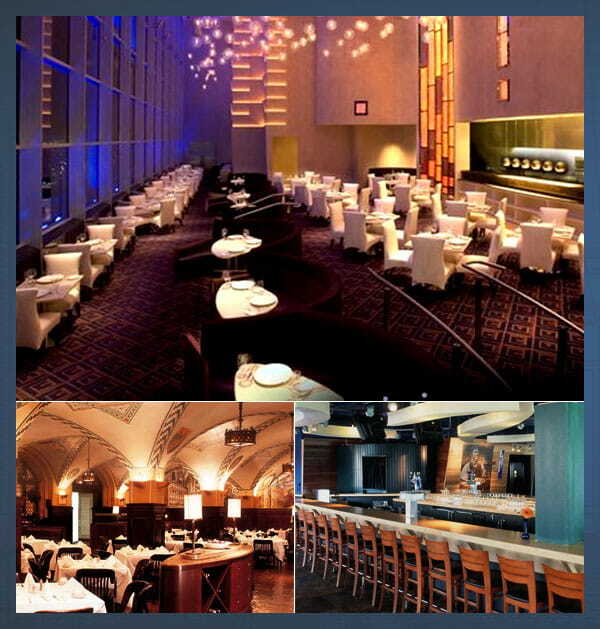 Some of our more popular requests include Wainscot, back bars, superstructures, tables, booths, chairs, reception areas, custom entries, fireplaces, lobbies, storefronts, fixtures, build-outs, and slot machine bases. Our decades of experience and skills passed on for three generations means you get a variety of options from traditional architectural woodworking to extremely specialized and highly detailed themed living spaces. Ferrante Manufacturing was contracted to do a lot of great things on this project. 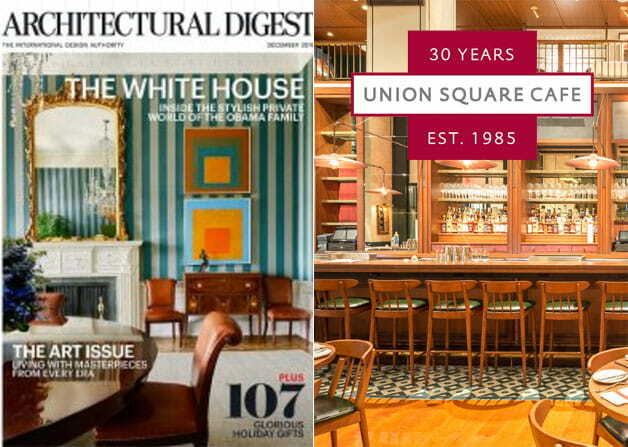 We were challenged with preserving the look and feel of the original Union Square Cafe New Yorkers loved and cared for. fixtures and installations Let us bring your vision to life. The contents of this webpage are Copyright © 2019 Ferrante Manufacturing Company. All Rights Reserved.